I will not go into my thoughts on the FIA bowing to media pressure and starting an investigation into McLaren's alleged use of illegal team orders in Monaco; plenty is being written about the matter elsewhere and I agree completely with Mike Lawrence's article on Pitpass about it. Instead, I want to point at an interesting interview with Renault's CEO, Carlos Ghosn, as reported by Formula1sport dot net. It seems that Ghosn is not happy with the Renault team's fall from the heights and would withdraw the company from F1 if things do not improve. Let us not forget that it was Renault's indecision about remaining in F1 that led Fernando Alonso to make other arrangements for the 2007 season. And that it was Ghosn who finally stopped the rumors by affirming the company's commitment to the sport. It seems to me that this is a very telling statement that makes clear the fickleness of manufacturers in F1. One cannot argue with Ghosn's logic - it makes no sense for a manufacturer to be involved in F1 if it is not reaping some form of reward in the form of good publicity. To be habitually trundling around in the midfield is inviting potential car buyers to view a company's products as "not quite good enough to win". Every manufacturer has to be involved for the sole purpose of winning races, the more often, the better. Mercedes and FIAT must be quite pleased with their investment at the moment and, no doubt, BMW are ecstatic at the unexpected pace of their team's improvement this year. But what of Toyota and Honda? How many more years can they hang on in the hope of making it to the front? There must be a point at which the board calls a halt and the F1 team is closed down. Japanese enthusiasm for the sport has given their manufacturers more stamina than most but, sooner or later, bad publicity will outweigh such considerations. In view of all this, the future of the unholy alliance between the FIA and the manufacturers does not look so rosy. When the time comes for manufacturers to leave, will the FIA be able to adjust regulations catering for giants to once again encourage the little guys? That's assuming there are any small and independent teams left, of course. Somehow I doubt it. But F1 is a business now, even if I continue to refer to it as a sport. And businesses come and go, rise and fall, depending on market factors. If F1 ends up in the hands of the receivers, who will be left to mourn its passing? Motor racing will continue, whatever happens. Some other form might rise up to be considered "the pinnacle of motor sport" and we will be left only with memories of that golden age when F1 was king, had oceans of money and cars that hovered on the cutting edge of new technology. Time moves on and nothing lasts forever. It just seems a pity that, with a little more common sense, the FIA could keep F1 closer to its sporting roots, thereby ensuring a greater longevity. 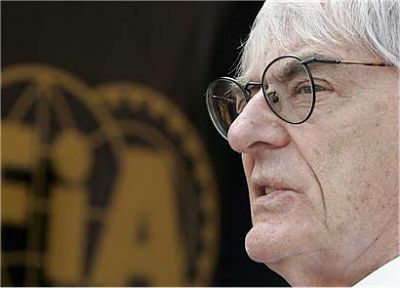 Rules should never be made for the benefit of just one sector of a sport - that is a surrender of power that the FIA will regret in the end.